Particularly useful for aileron linkages. Length: 40 mm (1- 9/16"). Particularly useful for aileron linkages. 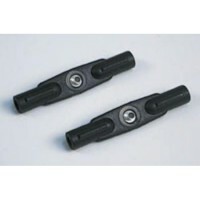 Includes nickel-plated brass ball (2 mm hole) for friction free operation. Length: 40 mm (1- 9/16").